COMMENT | I am grateful to be read by so esteemed and prolific a writer as S Thayaparan. Needless to say, like any two writers, the good Commander and I can hardly be expected to agree on everything – this is a healthy thing. In his article on Jan 9, Thayaparan alludes to what I believe are a good many shared goals and even some shared analyses. What differences we may have could arguably be ascribed to the fundamental level of optimism versus cynicism. Of course, this is my own biased view. I agree with Thayaparan that UMNO’s core strategy of feudal patronage was indeed very successful in securing Malay votes, especially in rural areas. How else could we account for the fact that in terms of individual parties, UMNO had won the most seats in Parliament? Or the fact that nationally, Harapan only won approximately 25-30 percent of the Malay votes. I also agree with Thayaparan in that this is a very tempting strategy to replicate, in order to achieve the same level of Malay support that UMNO achieved; as well as with the fact that there are undeniably some in Bersatu and Harapan who wish to pursue this path. Thayaparan seems to believe that it is inevitable that Bersatu will indeed go down this same road. Here perhaps we differ. I am no seer, so it would be foolish to say definitively whether Bersatu will or will not turn out like UMNO in the end. I will be willing to say however: it certainly isn’t an inevitability. In terms of electoral strategy, I think the primary argument that should be put forth to those trying to emulate UMNO’s strategy of feudal patronage is that the votes you win very likely come at the cost of other votes. Once again, I quote the Aesop fable where the dog with the bone saw his reflection in the river, and dropped the bone he had in greedy pursuit of a second bone. Should a party follow UMNO too far, especially in terms of its approach to race, the backlash will be real. That constituency of voters should not be taken for granted, as GE 14 demonstrated decisively their willingness to vote in protest. Secondly, every political strategy must obviously take into consideration context and landscape. Simply put, Harapan needs to know exactly who it’ll be up against in GE 15. ‘A Bersatu grassroots activist, who I usually call on because she gives it to me straight, told me that it is easy for the other Harapan components to criticise Rashid. It gets them good press and makes them seem like heroes, like young Syed Saddiq. But, the “beloved” (and she means it when she says this) prime minister not only has to ensure that Bersatu is a viable party, but also that “Harapan does not mampus (die)”. Two prominent young Harapan leaders, Youth and Sports Minister Syed Saddiq Abdul Rahman and Setiawangsa MP Nik Nazmi Nik Ahmad have both used America’s transition from Barack Obama to Donald Trump as an example of a right-wing backlash. This article does not look to ‘ignore’ these warnings and advocate some sort of no-holds-barred progressive agenda; nor does it intend to underestimate any particular political movement. That said, if Harapan is posturing to fight the wrong enemy in the wrong way, it could end up shooting itself in the foot. The main problem with UMNO and PAS is that they cannot rule alone; for the same reason they can’t rule alone, these two can’t rule together either. The Malay population currently stands at 55 percent. Unless you twist and turn electoral boundaries into some unrecognisable mangle, it is essentially impossible for UMOmno and PAS to appeal to non-Malays enough to win the federal government without some sort of ally. Indeed, one can very easily argue that this scenario has already played out – not in GE-15, but in GE-14. UMNO’s entire mandate was based on its leadership of BN, where every community was supposed to be represented. With whatever shreds of that illusion now being shattered conclusively, UMNO is left as a party with a very narrow, exclusive ideology, and very few genuine allies. PAS meanwhile has a dismal history of going it alone. In 1995 and 2004, they contested alone and won only seven seats each time. In 1999, 2008 and 2013, they contested in coalitions with PKR and DAP, and won 27, 23 and 21 seats respectively. 2018 was a bit of an outlier, with PAS winning 18 seats, but with each and every one of those seats coming from only three states (Kelantan, Terengganu and Kedah) – making it fairly obvious that PAS cannot win elsewhere without strong allies. So, it has to be asked: Who will Harapan really be fighting in GE-15? As always, we should not imagine voters to be stupid. Even if they wanted to vote in someone they think would be more willing to deliver them government goodies feudal-patronage style, surely they understand that their candidate cannot do so if he is not part of the federal government. This brings us to the most important point – why do we have to ‘out-feudal’ the enemy, when the purported enemy is in no real position to be the next feudal lord? Certainly one should not preach complacency, but one should equally not be sending warships into waters where there are no enemies, leaving other flanks vulnerable. Indeed, Harapan’s biggest enemy could be Harapan itself; if elections were to be held, say within a year, the biggest reason behind votes against Harapan would likely be under-performance. Worrying about maintaining and growing Malay support is not necessarily wrong, but this can easily be a strategic misstep as a counterpoint to enemies who are now mere phantoms. Umno has already been defeated, and at its current state of disintegration – caused in the first place by the party’s dependence on government-funded feudal patronage – it remains to be seen if it would even exist come GE-15. PAS on the other hand has shown extreme resilience over the decades, and we can expect them to be a real force, but unless they do a 180 degree turn and somehow start to appeal to non-Muslim political movements, they will not be a primary contender for the federal government. This brings us to the question of what then will the fight for the Malay heartland be about? The impression I personally got from Thayaparan’s article was a belief that these rural Malays will always be dependent feudal peasants. I choose a more optimistic view. 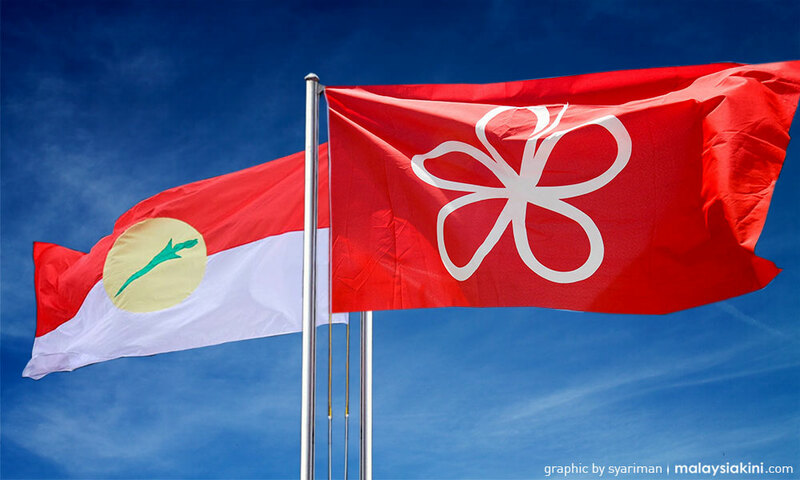 Bersatu and Harapan’s unique position – resulting from UMNO’s and PAS’ extremely weak position – gives them a golden opportunity to redefine what Malay politics is about. There are numerous examples of late showing that there are clearly elements within Bersatu who want to go the UMNOo way, but I daresay the battle for the party’s heart and soul is not over yet. 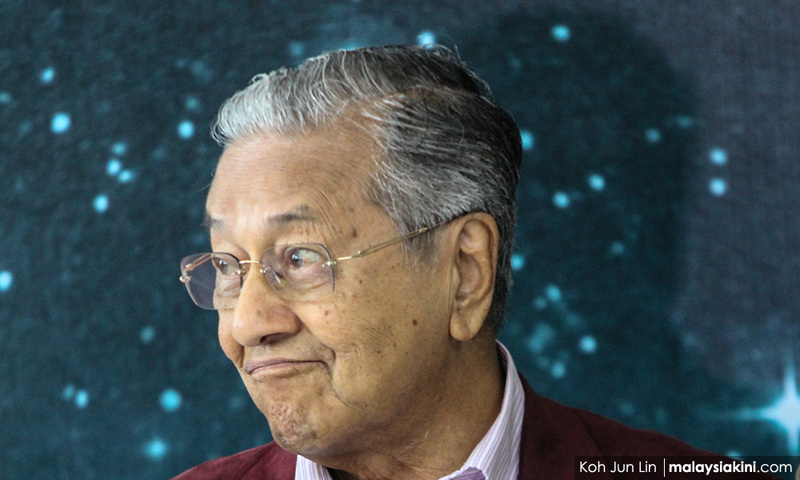 As I wrote recently, at the very top of Bersatu is Prime Minister Dr. Mahathir Mohamad, and his oldest dream to invigorate the Malay community – propelling them to become successful entrepreneurs, leading professionals and captains of industry. While his unrelenting sarcasm and unfavourable comparisons might not be the best way to bring this about, I don’t think we can doubt the sincerity of his intentions. All that remains to determine is methodology. It won’t be any walk in the park, but I do believe that with the right leadership and policies, we can transition out from the rural heartland’s dependency on feudal patronage, into governance based on genuine empowerment – setting everything in place for Malays to succeed on their own merits. If we take the time to look, there are always a few encouraging signs here and there – the takeover of Perlis Bersatu by Bersatu headquarters could be one such sign. I am all for realistic analysis. It is foolishness not to base your plans on what the objective truth on the ground is. At the same time, all the realism in the world will do us no good if we have no vision; reality, after all, is often nothing more than what all of us make it. NATHANIEL TAN is delighted to have begun a new job at Emir Research. Posted in Anwar Ibrahim, Character and Integrity, civil society issues, DAP, Democracy, GE-15, Goverance, Human Rights, ketuanan melayu, Leadership, Malaysia, Malaysiakini, Meritocracy and Competence, Monarchy, National Unity, Nationalism, Pakatan Harapan, Parti Pribumi Bersatu Malaysia, PAS, PKR, Politics, The Malays, Tun Dr. Mahathir Mohamad, UMNO.